The Peony Necklace attracts attention and compliments. 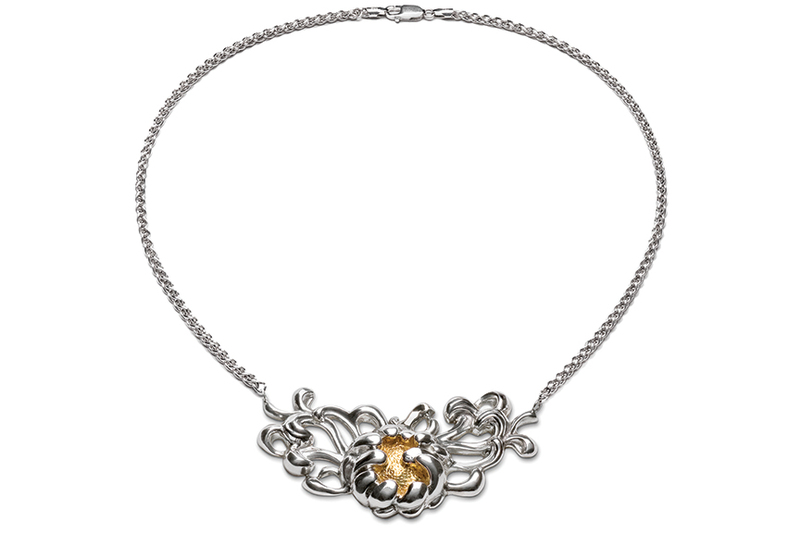 The 16" chain joins the sterling center blossom in a square neckline, very attractive on the collarbone. The angular neckline is a fresh contrast to the ravishing swirling foliage surrounding the blossom with a textured center of 24K gold. Wonderful at night with a silk dress or worn as a bold feminine touch with a turtleneck or crisp menswear-inspired outfit.